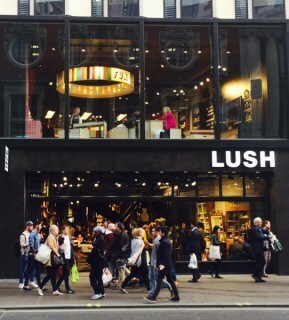 With Lush in their 20th year of business and have an impressive store portfolio expanding over 49 countries with over 900 different sites, it was no surprise that earlier this year they unveiled their new flagship store on London's Oxford Street which is their largest store in the world. 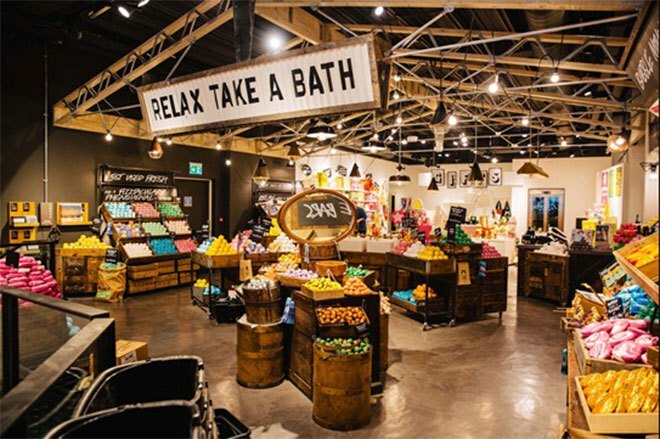 Keeping with their sustainable ethos that the brand prides itself on they have created a fun and inventive space that encourages their customers to really explore their extensive product range. Spread over 3 floors this 9300 sq. 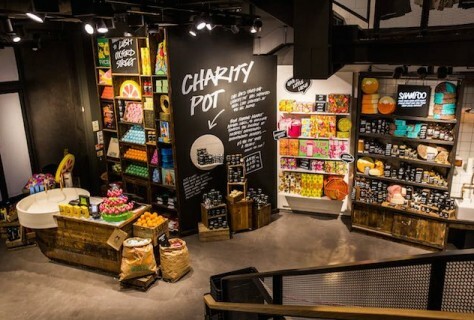 ft store allows them to showcase an extra 250 products and allows them to compete with the larger brand that Oxford Street has to offer and makes them stand out from the crowd. This store has been their chance to introduce new concepts that they've always wanted to achieve. 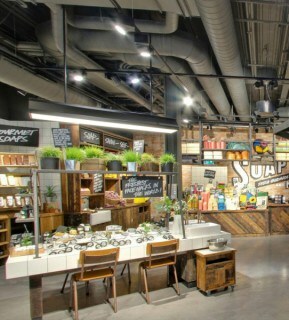 Inside they have added a hair lab where customers can try before they buy and can experience the products with their large fountain sinks, there's also a dedicated events space where talks and workshops take place. As well as these there is also a perfume gallery, a spa and 4 treatment rooms. With their retro styles interior and vibrant colour palette they wanted to create a space that showcased their products in the best possible way. They have used reclaimed wood and vintage buys to be used for much of their furniture and anything else that has not been reclaimed is FSC certified. The floor and wall tiles are also made with 50% recycled content. The lighting was key for their store design as they have created an exciting scheme that works in sync with the products and to do this they have used varying levels and texture of lighting adding to the already sensory experience they have. 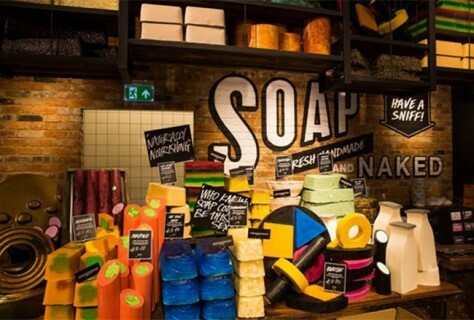 Their future holds a lot for the expansion of Lush as they plan to roll out this store design over their already existing stores. If you have the chance, a visit to their store is a definite must!